... another playpen?!? No, not really. This is a mattress (no bumper pads, no frame, no extras) that is meant to be used with the Munchin Minder playpen. Using this, and it's handy-dandy invisible recolor, will let you fool others into thinking you've got a playpen built for two! But you don't, not really. Mesh and an invisible recolor. This is cloned from Echo's playpen and functions just like hers. (As does my Kinder Kontainer playpen!) You can't place any playable toys in it and toddlers will just sit there and look cute. You CAN place decorative toys anywhere in it using a shiftable OMSP. You know that part about not being able to put toys in it? Well: If you have an adult get a toy out of a toy chest and sit it down, you can then direct the toddler to play with it. 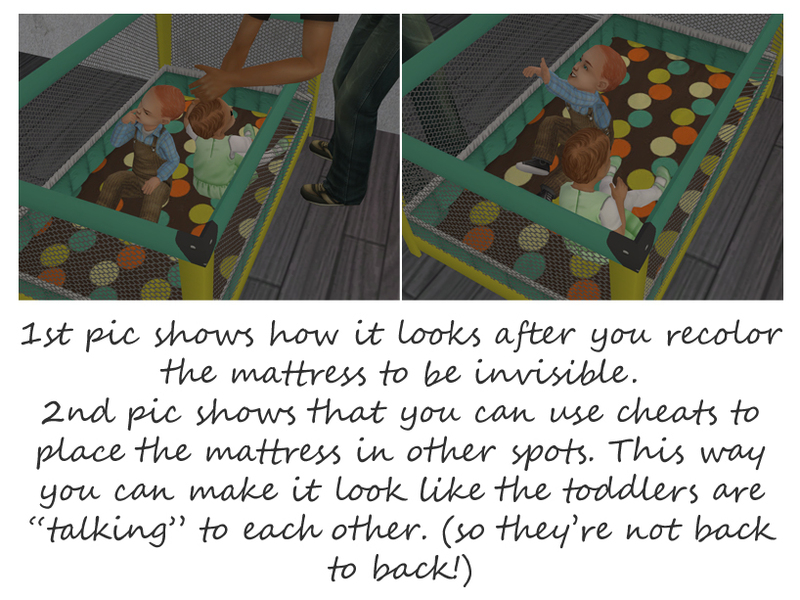 Once they're playing with with that toy, you can use moveobjects on to place the toddler in the playpen. They will play with the toy and it will just go back to it's original spot when they're done playing with it. Can be found in General>Child for 25 Simoleons. 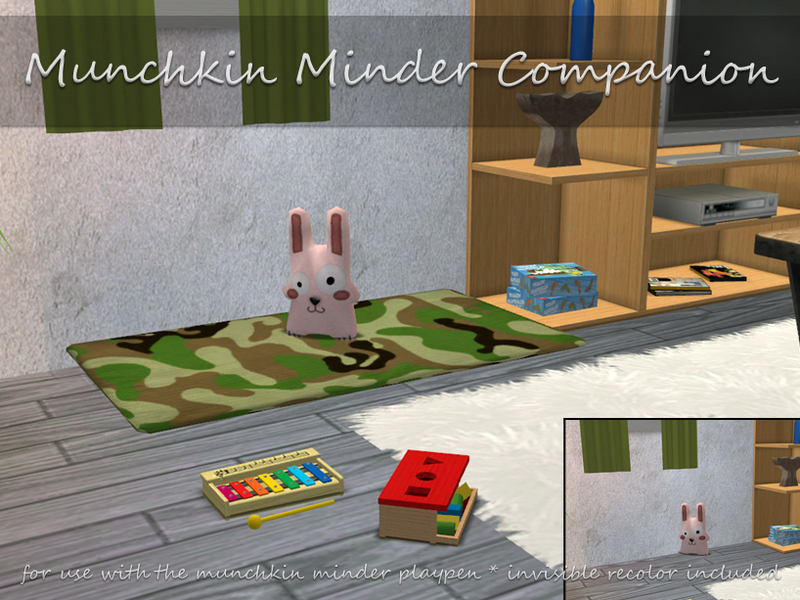 MLC-MunchinMinderCompanion.rar | Description: Mesh and invisible recolor.